The Medicare Access and CHIP Reauthorization Act of 2015 (MACRA) was signed into law on April 16, 2015. It was designed to incorporate the approximately 20 “doc fixes” to the 1997 Balanced Budget Act’s flawed Sustainable Growth Rate (SGR) payment system. Most notably, MACRA repealed the controversial SGR payment system, a fee for service reimbursement model that would have significantly reduced physician salaries, and replaced it with a two-track payment system, the Quality Payment Program (QPP), that will be tied to performance. It will significantly impact the way physicians and healthcare providers are paid under Part B of the Medicare Program. The delivery of quality and effective care will be major components when it comes to determining reimbursement rates for physicians. More emphasis will be placed on value, as opposed to volume under the current system, and physician performance will be evaluated against specifically determined measures. Payments will increase or decrease based on the outcome and level of provider care. Under MACRA, the Merit-based Incentive Payment System (MIPS) will consolidate three existing quality-reporting programs: the Physician Quality Reporting System (PQRS), the Value-based Payment Modifier (VBPM) and meaningful use (MU). It will also add a new performance category called improvement activities (IA). Physicians will be scored on each of the four categories: quality, resource use, advancing care information and clinical practice improvement activities. Their score, which will total 0 – 100, will determine the physician’s payment adjustment. What else will MACRA do? 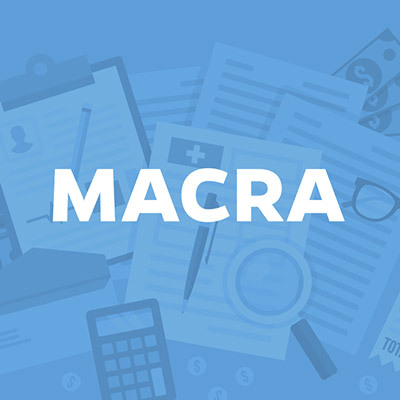 Not only does MACRA address new payment structures, but it also includes funding for necessary technical assistance to providers and for Quality Measure Development. It will enable new programs and create strict requirements for critical and accurate data sharing. MACRA will substantially impact the healthcare system as it works to provide better care, smarter spending, and healthier patients by focusing on physician incentives, superior care delivery, and comprehensive information sharing.